It’s one of the many things I love about this Ecole Chocolat course, and about writing this blog: the opportunity to explore and sample some really interesting things in the world of chocolate, most of which I had no idea existed. This time, I have been given a very intriguing brick. The instructions inside say that I must “fracture it into bite-sized morsels”. Just let me get a knife. This is going to be fun. 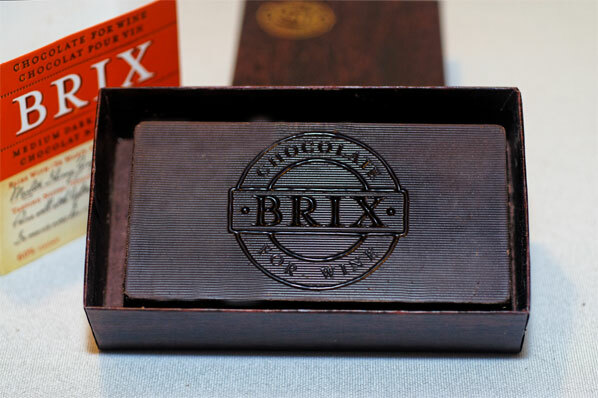 This brick, from a line of chocolate appropriately named Brix, is to be consumed with a glass of wine. It was developed by Dr. Nick Proia, a food and wine fancier who, upon trying many different chocolate and wine pairings could find none that he liked. This is a 60% cacao, medium dark chocolate, and is specially formulated to be paired with “fruit forward” wines, such as Merlot, Shiraz, Zinfandel and Rhone. They also have a milk chocolate Brix (40% cacao) – designed for the lighter reds and dessert wines – like port, ice wine, rose, pinot noir, and sherry; and an Extra Dark (70% cacao), specifically formulated to pair with Barolo, Cabernet, Bordeaux and Malbec, and heavier, peppery Zinfandels and Syrahs. Ooo la la. Better and better. An excuse to walk down to the village wine shop and pick up that nice bottle I have had my eye on, ever since June of last year. At that time, when my husband was invited to give a presentation, he and our younger son spent a mini-break at the Spirit Ridge Vineyard Resort and Spa. 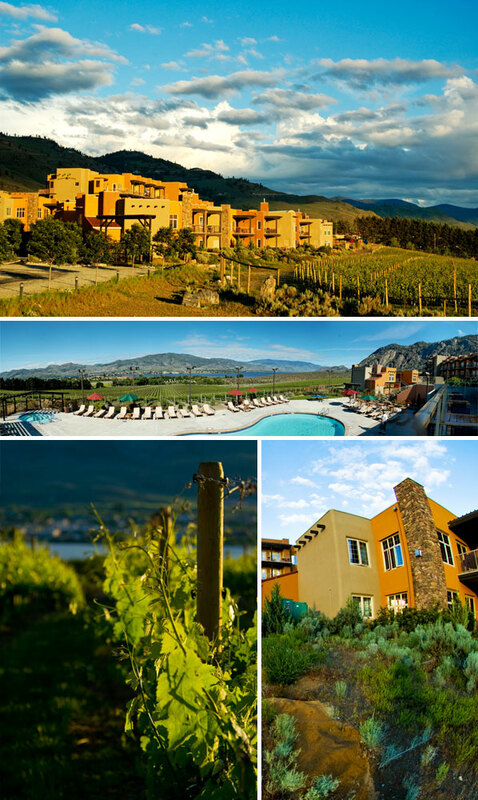 Spirit Ridge is in Osoyoos, in the gorgeous Okanagan Valley – “Rich with lakes, mountains and stunning desert landscapes”. We were all supposed to go, but, due to unavoidable commitments (exams and call-back auditions), Elder Son and I couldn’t. Instead, he and I were treated to electronic photographs of the two of them, happy as starfish, paddling in a glorious salt water swimming pool, eating fresh, elegantly prepared locally sourced food, including glorious chocolate desserts, and taking side trips to funky artifact shops. The straw that broke the camel’s back came when, in a conversation with my younger son, he informed me that “Dad is just outside, feeding carrots to the pony in the field behind the resort”. I almost cried. 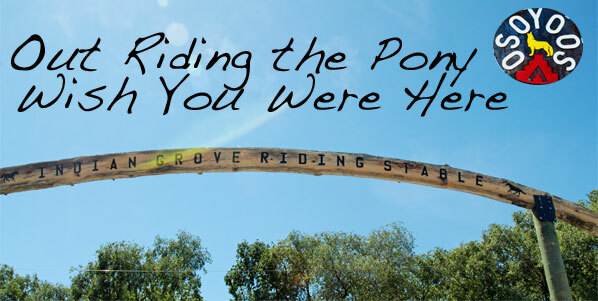 I had so been looking forward to going horseback riding in the Okanagan, and here the horses were – in their backyard. It was not fair. They would have gotten away with this big fat prank, except that they pushed it just too far. My husband is not as good a mimic as he thinks he is, and his impression of a happy pony munching a carrot (which is what I was supposed to be listening to as my son held up the phone) sounded rather more like a man blowing his nose. I was not amused. 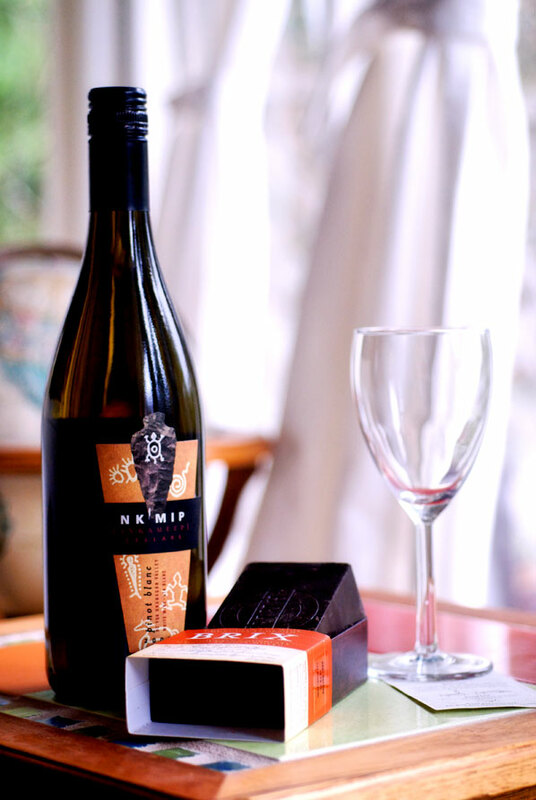 They arrived home three days later, gloriously rested, and by way of a peace offering, brought me two bottles of the excellent wine on offer at the resort, from Nk’Mip Cellars (pronounced in-ka-meep). 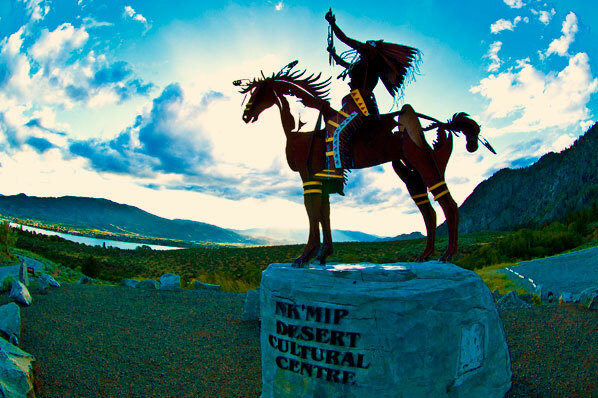 Nk’Mip is North America’s first Aboriginal owned and operated winery, and has garnered some pretty fine awards in the last couple of years. I particularly enjoyed the 2008 Pinot Blanc. I pull on my boots and rain coat (yes, it is once again raining in Beautiful Vancouver), and splash down to Edgemont Village Wines to pick up the Pinot Blanc. I cannot drink red, and this seems a very “fruit forward” wine, just the ticket. While the wine is chilling, I set up my “lab”. 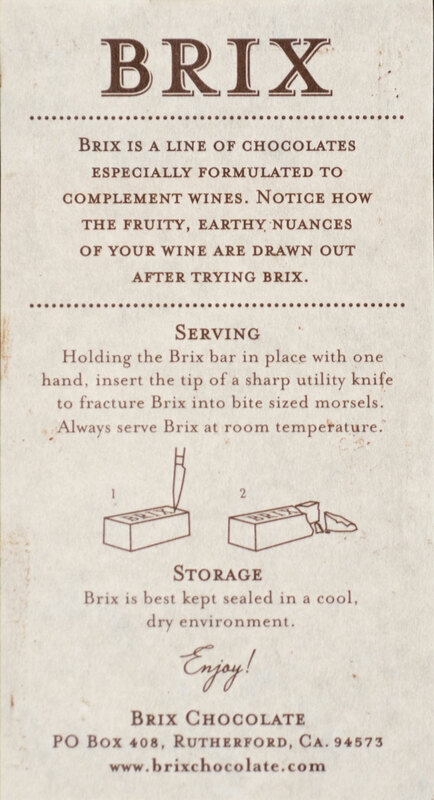 I decide to test a few more types of chocolate with the wine, and also, because I am the only one in our house who actually drinks wine, I decide to see how the Brix chocolate fares with other beverages. Perhaps Dr. Proia would not be thrilled by this experiment, but I want the other members of my family to try the chocolate, and one never knows: perhaps it is the ideal partner for pineapple juice! I am not quite sure which order I am supposed to imbibe. 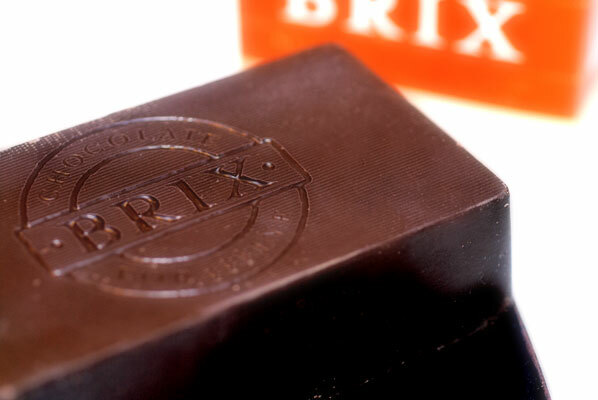 I pop a small piece of the Brix chocolate into my mouth, and let it melt on my tongue. Then, I take a sip of well-chilled wine, and swish the two together, as I have seen done at wine tastings. Then, I swallow. Another small piece of chocolate. It actually tastes mellow, buttery soft, smooth. The Pinot Blanc has a nice dry edge at first, and a citrus taste on the tongue. Mmmm. I think Dr. Proia may be on to something. Since I have been given a piece of Fortunato No 4 – a rare chocolate from Peru, I try that with the same technique. It’s funny – last week I couldn’t taste the coffee notes in the Fortunato, but Mmmm they are there, now. I almost don’t want to take a sip. Well. I wouldn’t say anything is lost in the taste of the chocolate by having a sip of wine with it. Its flavour lingers long after the wine. Quite nice together. Lindt Excellence (70% cacao). Left me with a very astringent taste. I think this chocolate is best enjoyed with a nice sweet berry, or slice of banana, but not with a glass of wine. Perhaps this is the perfect partner for milk! R, G, and M all agree that taste of the chocolate seems to be less present after drinking the milk, and the taste of the milk isn’t affected. When asked, it seemed that the pineapple juice tasted the best with this chocolate. Amazing. My hunch was right! Clearly, it is a “fruit forward” juice. And now, with grateful thanks to my vigilant testers, I grab the rest of the Brix brick, and store it in my bookshelf, next to the chaise, where I foresee it having a long and happy partnership with a glass of my favourite Pinot Blanc, and my collection of Jane Austens. Ahhh, bliss. Now that’s how to finsh up a rainy winter’s day in Vancouver.